Earlier this year, the Mack Institute and Good Judgment Open launched the Electric Vehicle Forecasting Challenge. 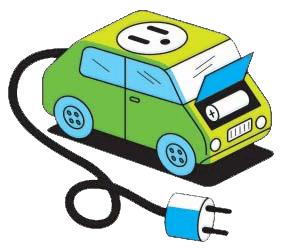 Its goal: to investigate whether electric vehicles would soon reach a “tipping point” that would substantially speed their rate of adoption. But electric vehicles are not the only major technology on the verge of transforming how humans get around. Advanced automation promises to fundamentally alter the relationship between ourselves and the machines we depend upon. 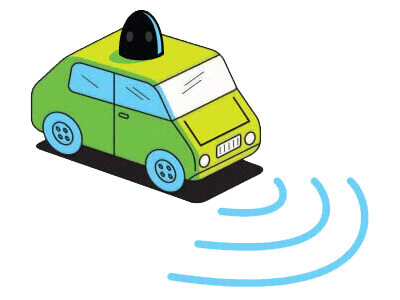 The technology for self-driving or autonomous vehicles has advanced rapidly, spurred not only by new features offered by the world’s largest automakers, but also by innovations introduced by newer entrants like Google and Tesla. Just as the barriers to reaching an electric vehicle tipping point are not exclusively technical, autonomous vehicles face numerous hurdles of public acceptance and regulatory approval. This is true particularly for the most advanced phase of implementation: virtually no human control. Automakers are already moving in that direction. Tesla’s electric vehicles are well-known for their suite of autonomous driving features known collectively as Autopilot. Apple’s plans to enter the automotive space, while largely kept under wraps, are known to also involve an electric vehicle with advanced self-driving features. And not all the major players are automakers. Mobility providers like Uber and Lyft are eager to be early adopters of fully autonomous vehicles to reduce their dependence on human drivers. Regulatory approval of driverless Ubers in cities around the world may depend, however, on the company’s willingness to comply with other policy requirements such as the use of low (or zero) emission vehicles in urban centers. Sign up for the challenge on the Good Judgment Open Website. We invite forecasters to engage with this broader set of issues. New questions have been developed by researchers involved with the Mack Institute’s Program on Vehicle and Mobility Innovation, and we’ll keep rolling out more over the course of the challenge. We will track fast-changing developments in technology, automaker strategies, new entrants, and regulatory stances to provide up-to-the-minute questions. Our goal is to educate forecasters about new issues while involving them in this global crowd-sourced effort. Together, we can predict the trajectory of these exciting, multi-faceted, and intertwined vehicle innovations. Join the expanded challenge here!